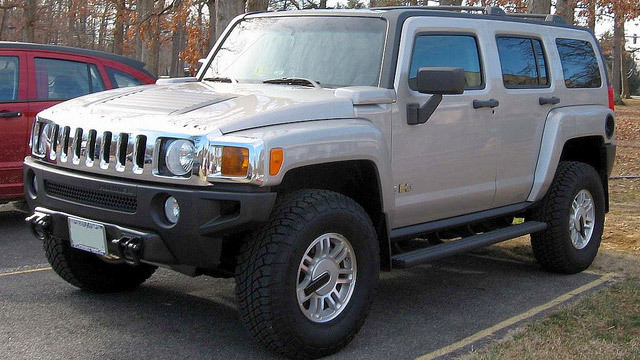 Produced by GM from 1999 through 2010, Hummer vehicles are no longer being made, but they remain versatile recreational vehicles that are immediately recognizable and loved by those who drive them. Whoever said that good things come in small packages never took the Hummer into consideration. The civilian version of the military Humvee, Hummers can be used on or off road in almost any environment. Each Hummer conforms to a high standard of workmanship and reliability, a quality vehicle such as this demands quality care and maintenance. Taking your Hummer off-road is incredibly enjoyable but can cause a lot of wear and tear on a vehicle—even if that’s what a vehicle like the HUMMER is designed for. Excellent service and routine maintenance will keep your HUMMER reliable regardless of the terrain you subject it to. At Dempster’s Quality Car Care, we offer individualized high-quality service to keep your Hummer in optimum condition. Whether you drive an H1, H2, or H3, we are qualified to meet all of your automobile’s needs. From major repairs to routine services, our expert technicians stand ready to offer nothing less than the best in customer and car care. Unlike other shops, we don’t just focus on the vehicle. From the moment you enter our door until you drive away completely satisfied, we strive to offer an unparalleled customer service experience. Our certified technicians are always happy to answer any of your questions, and we work hard to get you back on the road (or off-roading) as quickly as possible! While we make sure not to waste time, we also focus on precision, thorough service. Give yourself and your Hummer the service you deserve—If you have questions regarding your vehicle, or if you would like to make an appointment, give us a call on (215) 441-8002 or visit us at 16 E. Montgomery Ave, Hatboro, PA, 19040 to speak to our friendly staff about any concerns or questions you may have. We will be more than happy to help you schedule an appointment!